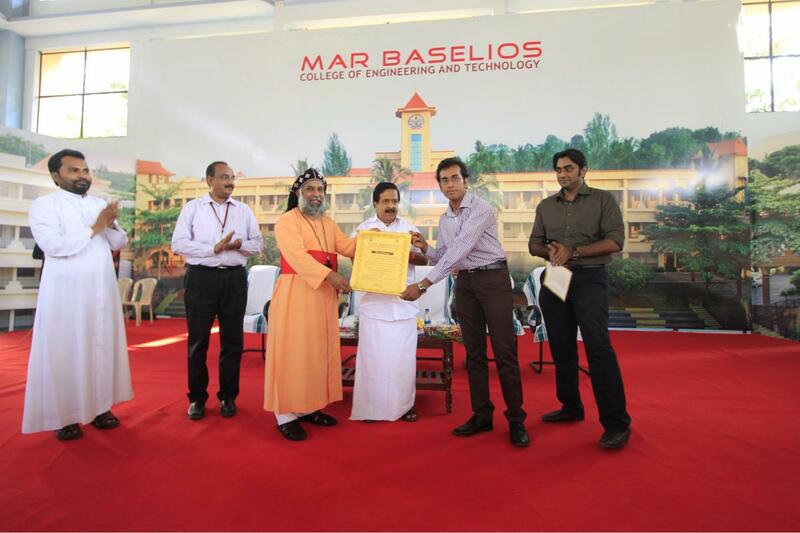 I recently had the opportunity to be awarded Mar Baselios Youth Excellence Award 2014. The award was given by the Honorable Minister of Home & Vigilance, Govt. of Kerala, Shri. Ramesh Chennithala. I had delivered a short speech on receiving the award. An extended version of the same was also given for publishing in the MBCET college magazine. My talk was mostly about the key lessons that I’ve learned in my relatively short life so far. The ideas I presented are nothing new but still I am surprised how few students actually live by these. Below I would like to share key excerpts from the speech. In this world, each one of us faces widely varied situations and circumstances. Not all of them might be directly beneficial for us. But all of these experiences help shape our perspectives. For a keen enough observer, there is a lot to be learned from his/her surroundings. I would like to share a few things I have picked up in my journey so far and have proven priceless to me. If you work hard enough, things will simply fall in place. Next is opportunity. In this world, there is always enough and more opportunity for those in the look out for it. Most of us fail to notice this. At times when opportunity presents itself in our face, we feel overwhelmed and shy away from it, thinking we are not good enough. Please don’t do that. Have faith in yourself and leverage your opportunities. “Freedom to fail is a key ingredient in success. Try and fail, but do not fail to try. Every disadvantage in India is an opportunity to do something big“. We engineers have a moral obligation to contribute to our nation’s growth. “the people who are crazy enough to think they can change the world are the ones who do”. We have the freedom to take risks and make mistakes. We might fail. But we have nothing to lose. Be optimistic. The battle is not over until you give up. So up your stakes, take risks, make mistakes, chase your dreams and live your life to the fullest so that you’ll have no regrets looking back. they are designed with the average audience in mind. Most of us must have faced a dichotomy in our school days – either be the studious ‘teacher’s pet’ student or the so-called ‘cool’ back bench mischief maker. But in college that need not be the case – here you can have the cake and eat it too. The reality is that everyone studies mainly during the few days before the university exams. This leaves us enough and more time to focus and hone our skills and pursue other varied interests. It’s upto us to take advantage of this time and invest it in the right things. Make good friends, spend quality time with them and have fun. At the same time find something that you are really passionate about – be it sports, art, coding or whatever and invest lot of quality time in excelling in it. In the book Outliers, author Malcolm Gladwell says that it takes roughly ten thousand hours of practice to achieve mastery in a field. Start now! Involve in various clubs in college such as IEEE, NSS, Entrepreneurship Development Cell, Drama club etc. Travel a lot. Meet and interact will a lot of different people. All these will help you grow as a person.